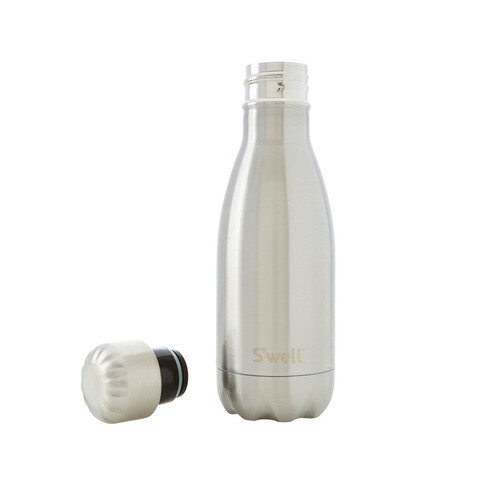 Designed for functionality and looks, the New York S’well bottle now comes in a petite 260ml size. This size is perfect for tossing in your purse or lunchbox. Or better still, use these in your kid’s school lunchboxes or to keep your baby’s milk warm while on the go. Colour Choice: Black and metallic Silver. Handwash ONLY (so as not to damage vacuum seal). Use bottle brush if necessary.